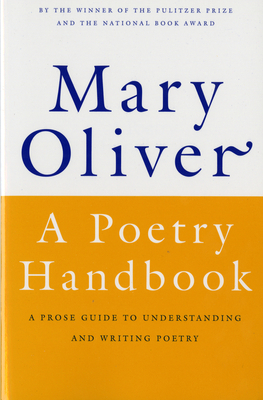 With passion, wit, and good common sense, the celebrated poet Mary Oliver tells of the basic ways a poem is built-meter and rhyme, form and diction, sound and sense. Drawing on poems from Robert Frost, Elizabeth Bishop, and others, Oliver imparts an extraordinary amount of information in a remarkably short space. “Stunning” (Los Angeles Times). Index. A private person by nature, Mary Oliver (1935–2019) gave very few interviews over the years. Instead, she preferred to let her work speak for itself. And speak it has, for the past five decades, to countless readers. Over the course of her long and illustrious career, Oliver received numerous awards. Her fourth book, American Primitive, won the Pulitzer Prize for Poetry in 1984. She also received the Shelley Memorial Award; a Guggenheim Fellowship; an American Academy and Institute of Arts and Letters Achievement Award; the Christopher Award and the L.L. Winship/PEN New England Award for House of Light; the National Book Award for New and Selected Poems; a Lannan Foundation Literary Award; and the New England Booksellers Association Award for Literary Excellence.